The Claremont Hotel Club & Spa mixes a rich history with modern amenities, award-winning cuisine, live entertainment, and stately accommodations with unforgettable views of the San Francisco Bay. 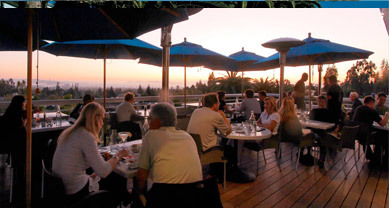 The Claremont is an urban oasis - near the city, nestled in the Berkeley Hills -and lets you get away from it all without being too far away from anything. Please reserve your rooms directly with the Claremont Hotel; see below for information. 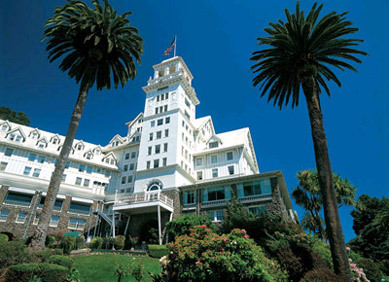 *Please note: Our room block is now FULL at the Claremont Hotel. Our Block Rate is $175 per night. Please reserve with the hotel directly and ask for our Conference Block Rates. Call 800-551-7266 or email reservations@claremont-hotel.com . Ask for the "Critical Thinking Conference Group" when reserving your room. Please reserve by telephone or email, not online, to get our block room rate. Our Conference Group Rate is available until July 2, 2014. Please register early to ensure availability. The Claremont has waived their daily "resort charge" of $24 for guests of the Conference. Included in the resort amenities is high speed internet access in guestrooms, complimentary use of computers and internet in the Business Center, access to the Club/ Fitness Center and all fitness classes, an outdoor swimming pool, newspaper delivery, and in-room coffee. The Claremont is offering Conference guests a specially reduced parking fee of $5.00 per day. Conference guests in the hotel block will also receive a 10% discount on hotel restaurants. 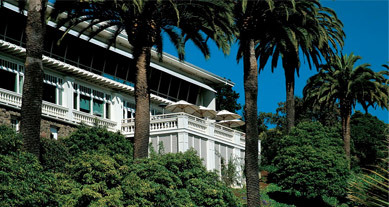 The Claremont Resort & Spa is a historic hotel located at the foot of Claremont Canyon in the Berkeley Hills, providing the resort with scenic views of San Francisco Bay . The Claremont currently has 279 guest rooms, an award-winning 20,000-square-foot (1,900 m2) spa, ten tennis courts, and twenty-two acres (89,000 m2) of landscaped gardens. Romantic stories tell that it was once won in a checkers game. 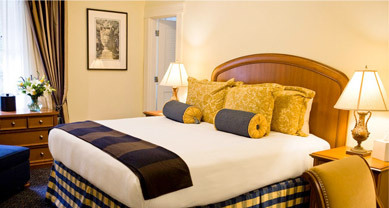 The Claremont Resort & Spa is ten to fifteen minutes' walking distance to College Ave., where there is a variety of restaurants, shops, and a movie theatre. Whether business or pleasure brings you to this iconic San Francisco Bay Area Hotel, be assured: The Claremont Hotel Club & Spa is the ultimate urban oasis. Blending modern amenities with an aura of mystique, the property has defined a destination for generations. Come, be our guest in the warm and welcoming world of The Claremont. The experience will stay with you forever. At the Claremont, when we ask, "How do you like your room?" we really mean your room. We have 279 guest rooms, and no two are exactly alike. Enhanced by our many recent renovations, each guest room offers a touch of old world charm and casual California elegance. Decorated with luxury and comfort you can sink into for a peaceful, relaxing retreat. Many guest rooms feature extraordinary views of the San Francisco Bay. Much more than just a treatment, a visit to Spa Claremont includes pre-spa amenities such as the steam room, jacuzzi, and lounge to melt away stress. Choose from ancient healing arts like acupuncture, the latest skin care treatments and many other healing modalities. We have just what you need to heal your body, relax your mind and renew your spirit. 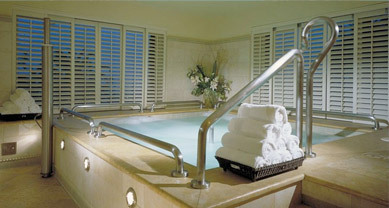 Restore yourself at Spa Claremont, named one of the nation's best, and experience the way to wellness. The Claremont is offering Critical Thinking Conference guests a 10% discount at its restaurants (food purchases only) during the event. Choose between our new signature restaurant, Meritage at The Claremont, or the ultra hip oasis Paragon Bar & Cafe. In order to serve the very best, our Chefs make frequent trips to local farmers' markets for inspiration. Immerse yourself in an atmosphere filled with live music, impeccable service, and attention to detail. Indulge your senses with our ever-changing menus while feasting your eyes on spectacular views of the San Francisco Bay and skyline. 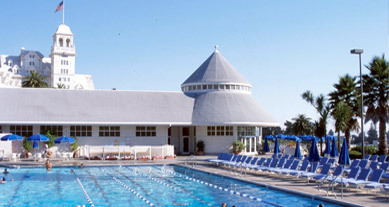 On twenty-two acres full of fun - like Kids' Club day camp, a three-pool aquatic facility, ten tennis courts, yoga, a newly renovated fitness center, Spa Claremont, concerts, and art festivals - even the choosiest family member will be happy. Membership includes VIP privileges and discounts for dining, accommodations, salon and spa. With so many options, family members might want to do their own thing. Plan to meet up later by the pool. Or share your adventures over the perfect family dinner.